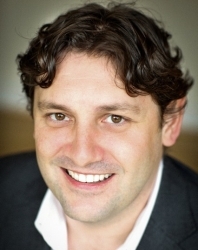 Dr Ben White has carried out extensive postgraduate training in dental implants, cosmetic dentistry and orthodontics. He has trained with some of the world’s leading experts in their field, including Dr Hilt Tatum. Ben has been placing implants since 2001 and in 2012 he completed his MSc in Dental Implants with distinction. He is a full member of the British Academy of Cosmetic Dentistry and the Association of Dental Implantology (UK). Ben qualified from Bristol University in June 1997. Patients just beginning to think about dental implant treatment may find it helpful to attend a complimentary preliminary consultation with Dr White. This appointment does not include a clinical examination and it only takes 15 minutes. The discussion will help you consider the options for treating your dental problems and decide whether to proceed to a clinical consultation for implants. The preliminary consultation is free of charge for visitors enquiring through this website. Please use the button in the right hand column to request an appointment. "Thank you so much for the amazing treatment I have received. My teeth look fantastic, I can't believe how much better they look. I am so pleased I have had the work done and would recommend you all to everyone considering dental implants." "From a very young age I was missing four front teeth and since the age of 18 I've had to wear a plate. I was only planning to have implants but Ben convinced me to have orthodontic treatment as well. It was truly worth it. Not only have I lost my plate but I have gained a perfect smile. I only wish I had come to you sooner." Pro-forma referral form available on request. General dental practitioners are encouraged to undertake the restoration phase of the implant treatment for their own patients in straightforward referred cases. FREE training in the restoration of simple dental implant cases is available. To enquire about starting to restore dental implant cases for your patients, please contact Heidi Fuller (heidi@white.co.uk). At White we strive to ensure that our patients are provided with a unique dental experience in a relaxed and friendly environment. Our modern approach to dentistry is founded upon tailor-made treatment plans which focus upon the patient as an individual. We offer an extensive range of treatments from routine dental health reviews to dental implants.